Workforce diversity has been closely associated with reduced health care disparities and better patient care. 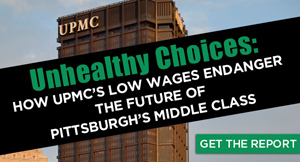 If patient care is UPMC’s top priority, it should be doing everything it can to promote a diverse workforce. Talk to UPMC workers at one of their many protests over the past few months, and they’ve likely told you they’ve been standing outside chanting because their wages are too low, their medical debt is too high and their employer won’t let them unionize. 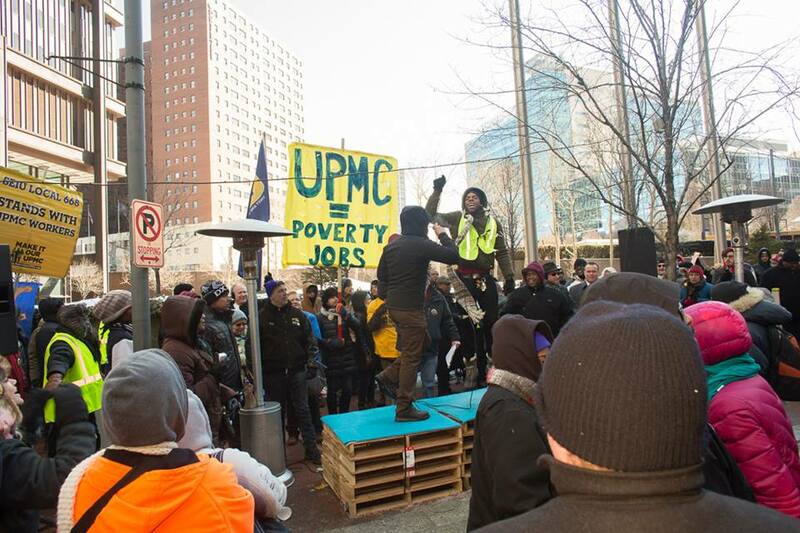 This week our fight to hold UPMC accountable to its employees and the city of Pittsburgh blew out the roof! 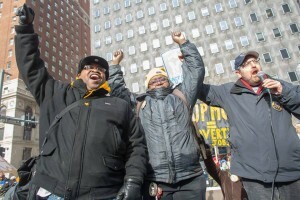 If you weren’t with the thousands of people who came downtown, I’m pretty sure you saw us. Our voices were impossible to miss. It started last week when my co-worker Christoria Hughes and Pittsburgh faith leaders were arrested after trying to talk to CEO Jeff Romoff about using UPMC’s power and wealth to lift UPMC workers out of poverty. 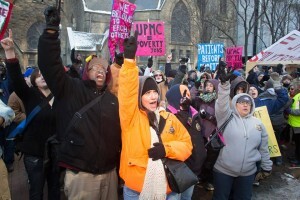 UPMC’s refusal to hear our call has just made us more determined. We need UPMC to do better and we won’t quit. 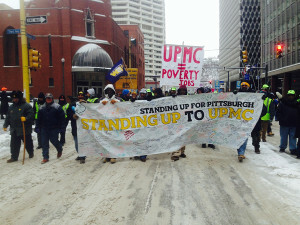 That’s why we brave the bitter cold to gather at UPMC headquarters and set up our health care village. We had so many villagers that we spilled right into Grant Street! 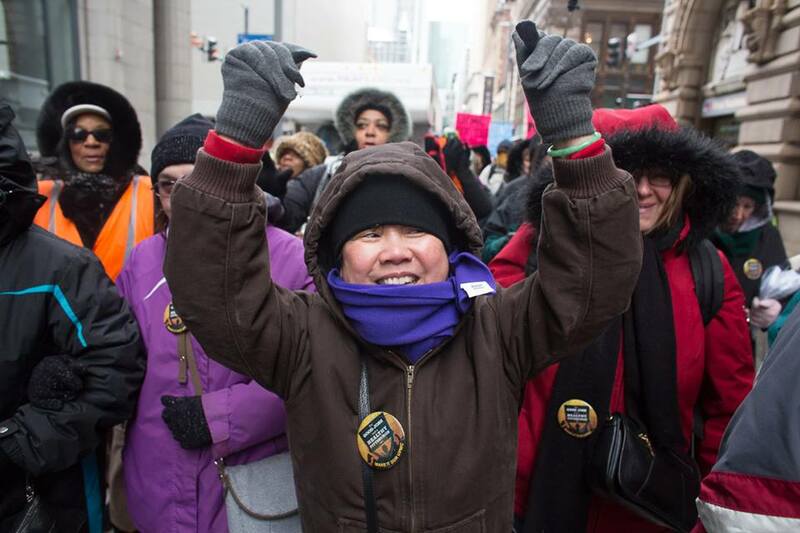 In our village, my co-workers and I joined Pittsburgh students and teachers, artists and nurses, union members, City Council members, State Representatives, clergy and choirs to show UPMC what respect and care look like. Hip hop artist Jasiri X got the formula just right when he gave us a song composed especially for us. It’s not hard: Just put People Over Profits! 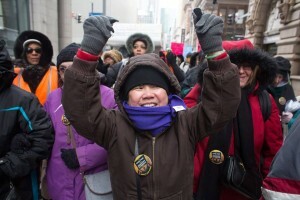 On Tuesday, we again stepped out into the bitter cold to renew our call for good jobs, access to healthcare, and for UPMC to pay its fair share. 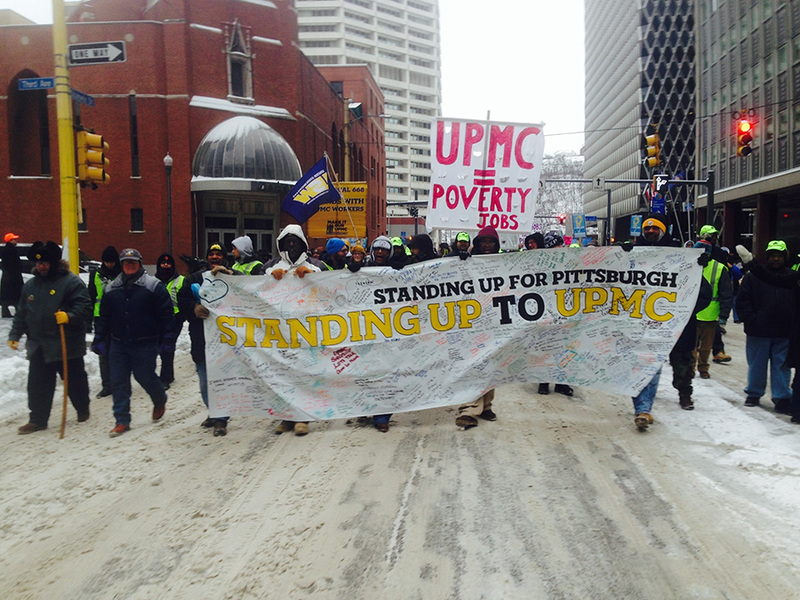 At about 9 o’clock, Mayor Bill Peduto’s Chief of Staff, Kevin Acklin, came to our demonstration to tell us that we had been heard! The Mayor rushed back to town to step in and help resolve our conflicts with UPMC. 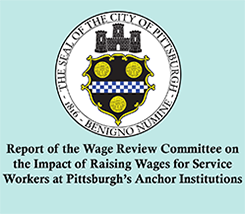 I am overwhelmed by the outpouring of support that we have from people from all over Pittsburgh, and I am very hopeful the Mayor will help bring us closer to improving jobs and forming our union at UPMC. 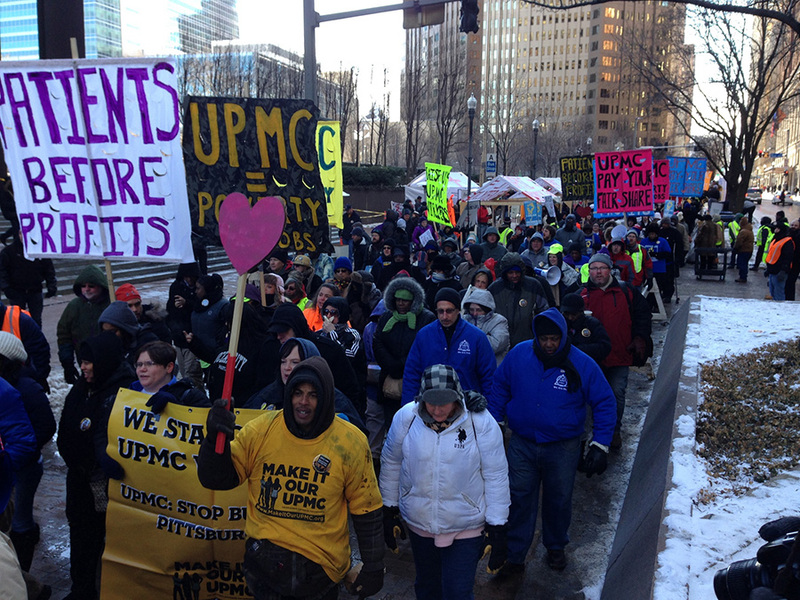 Our families, our patients, our city needs better jobs at UPMC now.